From major conventional building construction to minor renovations, C.W. Brinkley always delivers outstanding solutions on budget and on time. We take the time necessary at the onset of each new project to discover the functional and structural needs of the client, to recommend the most cost-effective solutions, and to deliver on all accounts. Our seamless process offers the peace of mind clients need to place their confidence in a highly skilled team who will get the job done with ease and success. 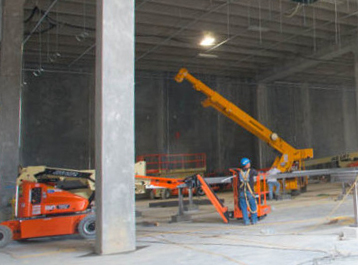 Our general construction services are all-encompassing and include large-scale projects as well as renovations such as tenant build-outs and highly skilled carpentry work. Regardless of the scope, our superintendents and skilled craftsmen have the experience necessary to complete the most demanding architectural and structural work.